BALA CYNWYD, PA – February 12, 2018 – Love Beets, the creators of everyone’s favorite ready-to-eat beets, will celebrate National Heart Health Month with their “Love Your Heart-BEET” campaign during the month of February. The campaign will span both in-store efforts and digital activations across the Love Beets social platforms with the goal of educating consumers that beets are a great addition to a heart-healthy diet. The brand will partner with Kroger stores nationwide to perform in-store demonstrations and distribute Love Beets samples to customers. With every sample, each customer will also receive a recipe booklet with several beet-inspired recipes that have been certified heart-healthy by the American Heart Association. 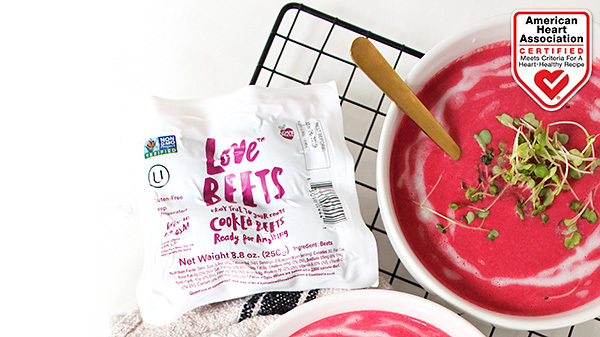 “We’re so excited because having these recipes certified by the American Heart Association only adds to the integrity of our campaign,” said Natasha Lichty, Brand + Marketing Director at Love Beets, USA, LLC. 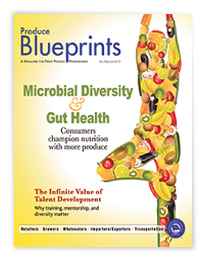 The heart-healthy certified recipes include a beet-citrus smoothie, a simple beet and feta salad, beet energy bites, beet hummus crudité platter, a golden beet salad, and a roasted cauliflower beet soup. All of the recipes have ten or less simple and affordable ingredients, making them easy for consumers to replicate at home. The recipes will also be available on Love Beets’ website. Additionally, Love Beets will be partnering with Registered Dieticians on their social platforms throughout the campaign to post more heart-healthy recipes and tips, and to help explain why beets are a great heart-healthy food. Follow along on Love Beets Instagram (@lovebeets) throughout February for giveaways, recipes, and tips about maintaining a heart healthy diet and lifestyle! Use the hashtag #loveyourheartbeet to post and find beet-inspired, heart-healthy recipes. To learn more about Love Beets and to spread the beet love, follow them on Facebook, Instagram, Pinterest, and Twitter.